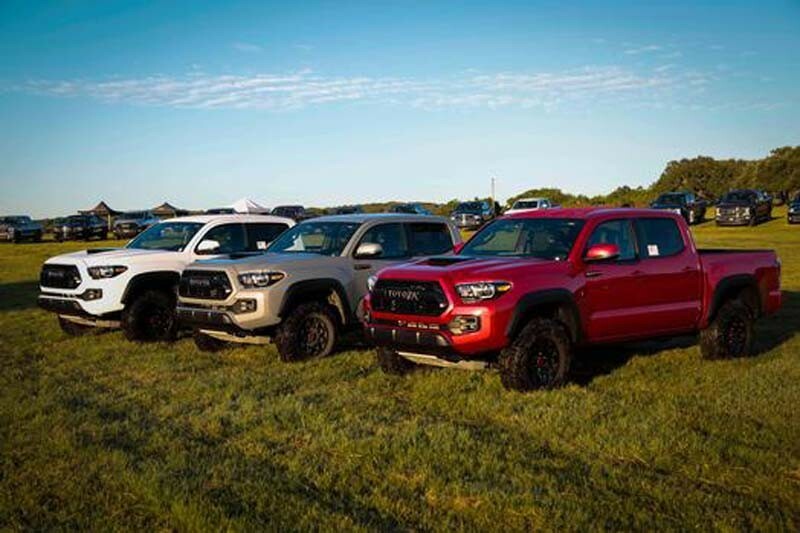 It all begins with a row of trucks, SUVs and crossover vehicles stretched from one end of a grassy field to the other. They are the stars that manufacturers have selected as best in their stable to compete for meaningful awards and major bragging rights. This time at Longhorn River Ranch – with views of Onion Creek and an array of exotics. At the start, they are shiny and clean with spotless windows and chrome. In a few hours they will be coated with fine brown dust from multiple trips around the courses. It ends two days later — after many hours of driving (on and off road), soul searching by about 70 committed journalists who vote based upon their driving experiences, and extensive lobbying by the companies who bring them for trial by fire – with trophies and applause. Some years the results hold surprises while others can be less so. There are no bad vehicles at this end of the vehicle spectrum. Trucks and other multi-function vehicles are all praiseworthy. It comes down to details and very subjective feelings. This year, it was a little of both and two or three tenths-of-a-percent divided some category winners from runners up. That’s why jurors like me keep coming back. And so do the makers of these capable and impressive vehicles. 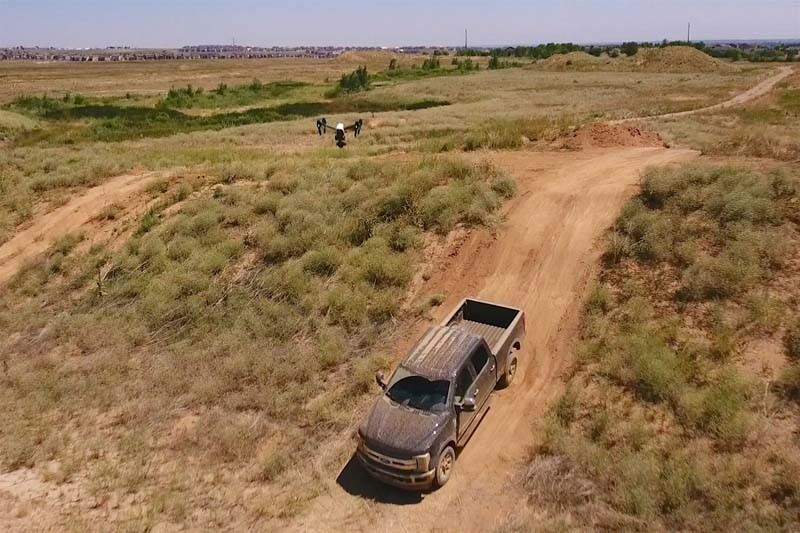 I reviewed the new SuperDuty about three weeks ago after driving it for a couple days at the vehicle launch, and again took it off road this week reaching the same conclusions. It will do everything a heavy duty truck owner could need. 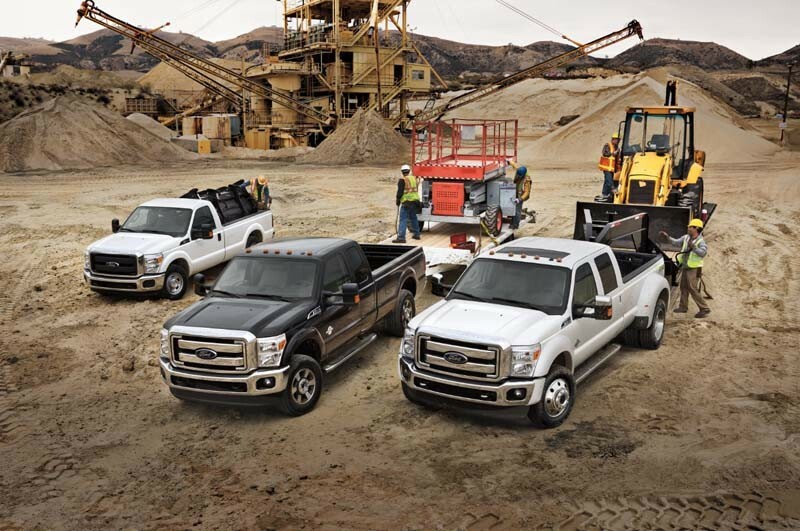 Models range from the F-250 up to very large versions that will tow, haul and perform to just about any requirement. Rather than using the weight reduction to increase tow load or fuel efficiency (for trucks this size, the fuel efficiency numbers are not published), they have beefed up capabilities and features. Ford also won Best Powertrain for its 2017 F-150 with the new 3.5L EcoBoost V6 engine. Truck line of Texas competitors are small in number. They must offer a wide range of alternatives to meet broad demands effectively. Again, Ford was named the winner. From the F-150 light duty to the specialized big trucks, they have the market covered. With the announcement that a new Ford Ranger is coming, they will also be in that very hot segment again. That was not part of the criteria for this year, however. 2017 Toyota Tacoma TRD Pro won mid-size pickup – this was the first time the media has had a chance to drive it but you will be hearing plenty about my Tacoma adventure at Yellowstone. I want to go back. 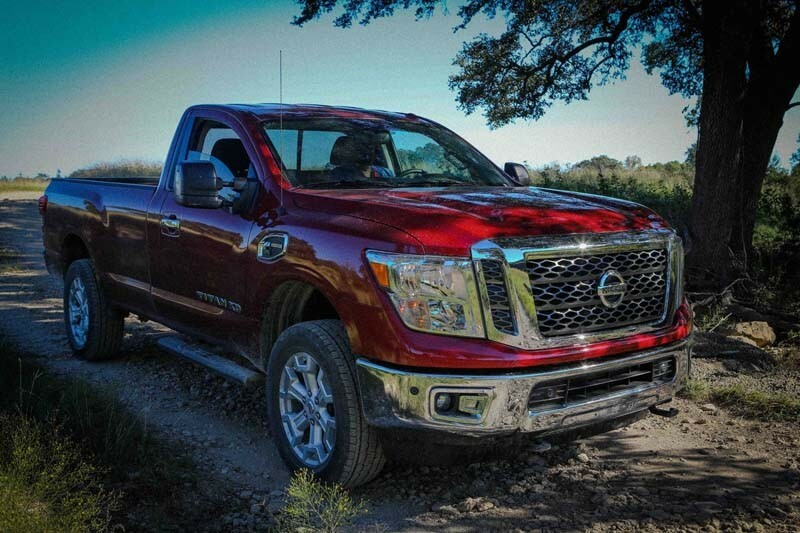 2017 Nissan Titan XD Single Cab won best commercial vehicle. 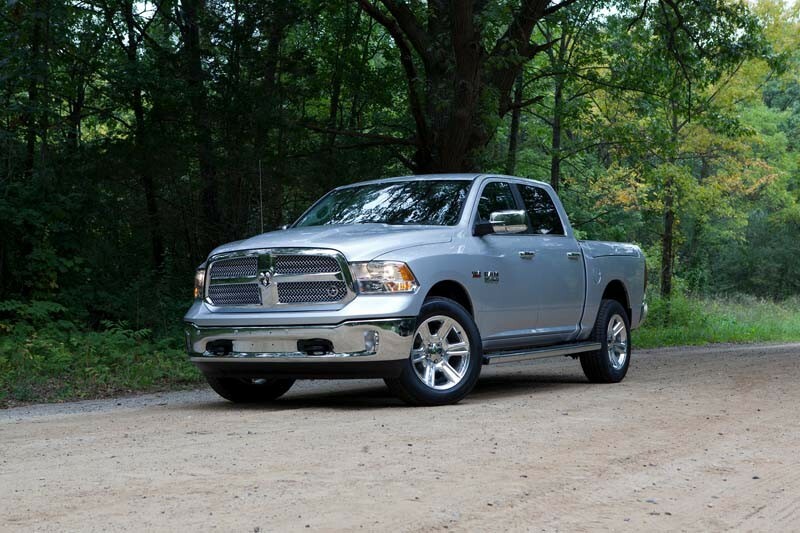 Lots of power in a single cab for work or outdoor when you don’t need more passenger space. 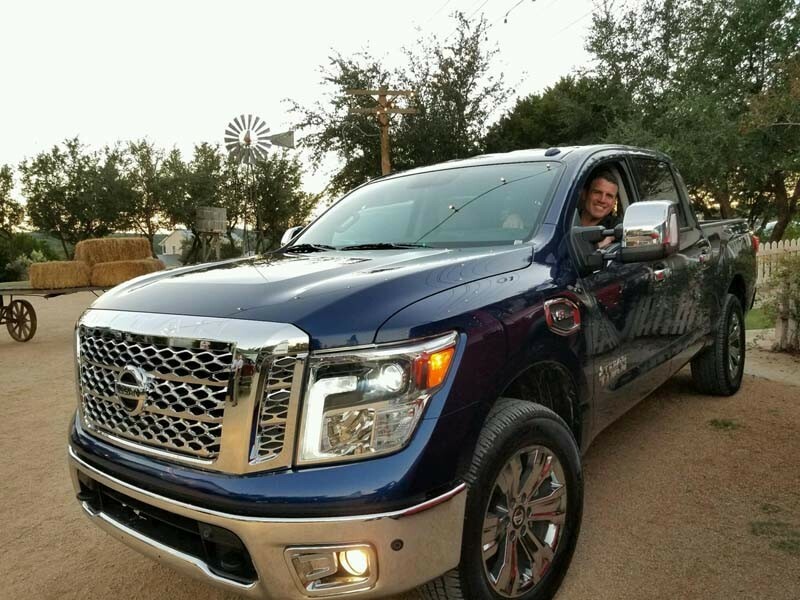 2017 Nissan Titan was named best full size pickup – outstanding new Texas edition. 2017 RAM 1500 was named best luxury pickup – covetable with lots of power and fab interior. 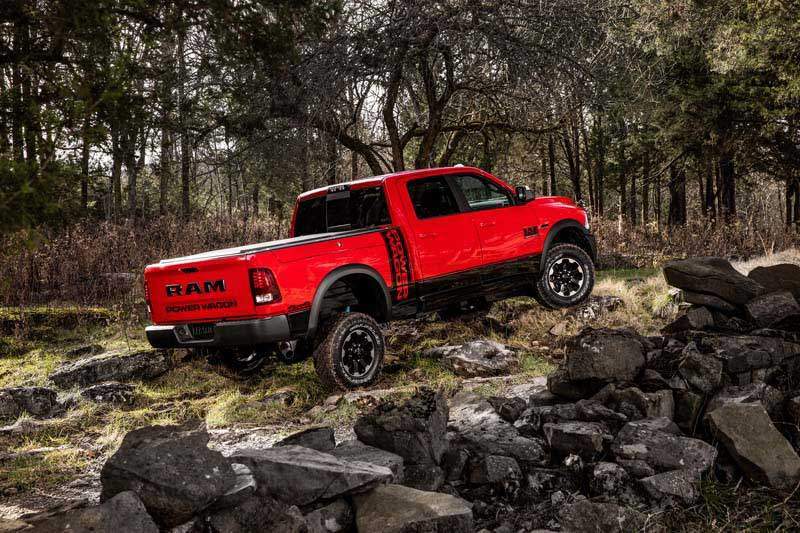 2017 off-road pickup award went to the 2017 RAM 2500 Power Wagon – always a treat to take off road. This time, my passengers were the team from the San Antonio Auto Show, coming up in early November. The best technology award also went to a truck competitor. 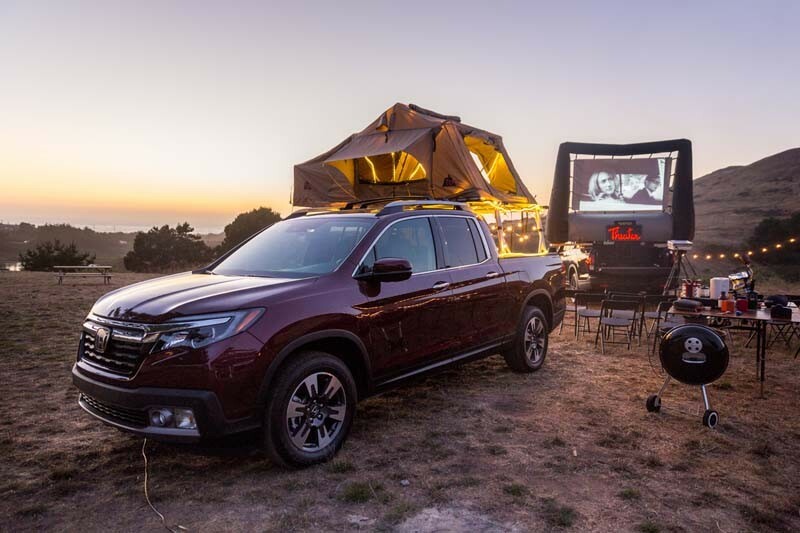 The 2017 Honda Ridgeline won the best technology award for the new in-bed audio system. Also worth noting: this is the first year in many that the Ridgeline was entered at all. Welcome back. 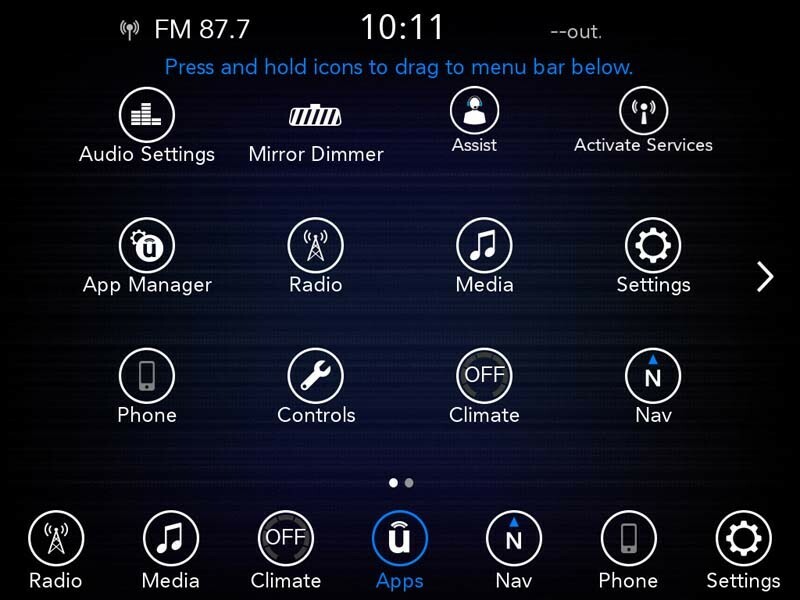 Uconnect debuts the fourth-generation system in the Chrysler 300, Dodge Charger and Dodge Challenger. FCA (Fiat Chrysler America) won the best conductivity prize for its Uconnect Access which is broadly offered across its product line. It is an impressive offering in many RAM, Jeep, Dodge, Chrysler and Fiat vehicles. With almost every vehicle manufacturer offering capable products in a range of sizes this is a very active category. 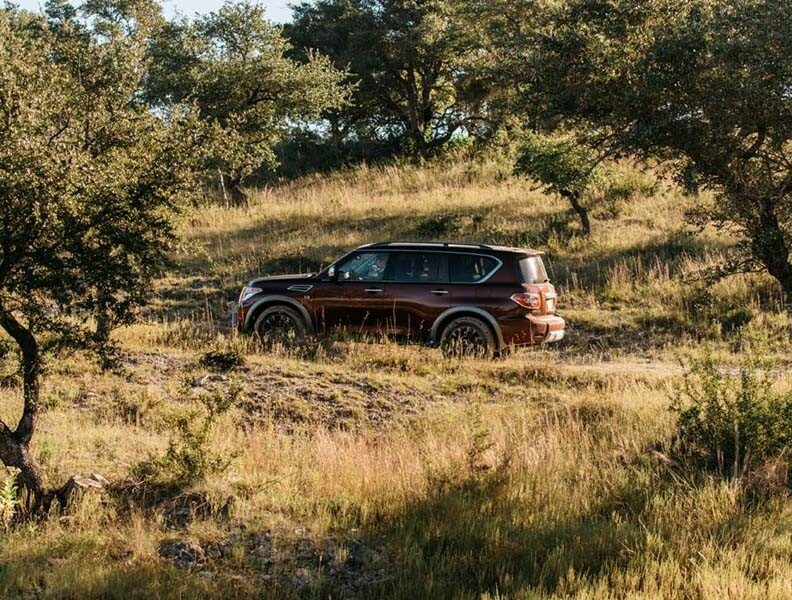 The 2017 Nissan Armada won the prize for its category, Full Size SUV, and the SUV of Texas which includes all sizes in final judging. I have driven this vehicle at launch and several times since and it is a fooler. Look at it and you would never expect that it could never be as capable and functional offroad as it is as a people mover. Think again. It is a great choice when the family vehicle has to tow or take an offroad side trip. It would also take you to the fanciest restaurant and be a head turner. For full-size luxury SUV the winner is the 2017 Mercedes-Benz GLS. It is gorgeous, can do almost anything (although we didn’t take it on the toughest of the three off-road course) and tows 7,500 lbs. The 2017 Jaguar F-Pace was the mid-size luxury SUV. New and strikingly capable. The 2017 Jeep Grand Cherokee, which has won numerous Rodeo awards was named best mid-size SUV. Mid-size SUV winner was the 2017 Jeep Cherokee in its trail-rated version. Capable and accessible both on and off road. Jeep’s 2017 Jeep Wrangler Rubicon, which we drove in an enclosed version and one that was bare naked with no doors or top, was named best off-road utility vehicle. 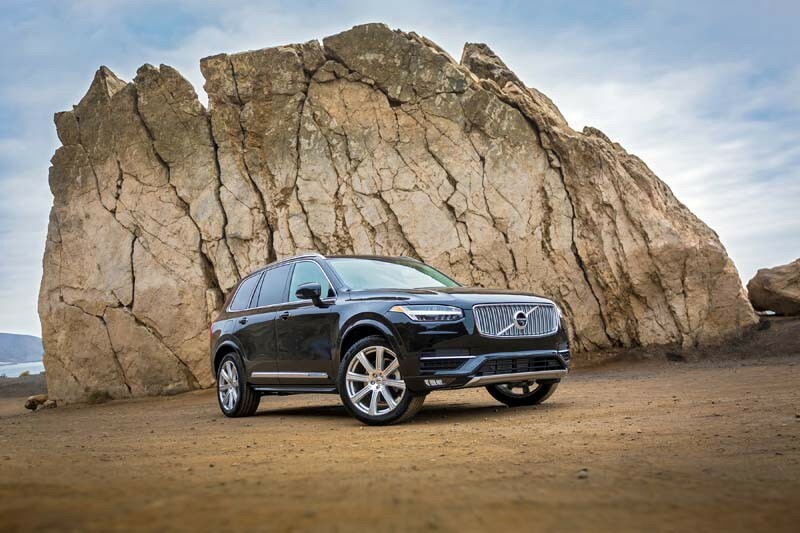 Last year at the Texas Truck Rodeo, the Volvo XC90 was a runaway hit, winning its luxury CUV category and CUV of Texas. This year it was a repeat winner with a new vehicle, the TC Excellence with the T8 Violvo twin engine format and five and seven seat configurations. It offers 400hp and 54 mpge for under $65,000 and – before you ask – it took off on the second toughest off-road course in the appropriate mode with raised ground clearance and hill descent control. Again, a wonderful multi-use vehicle when you have to settle for only one, and may need to go off the beaten track. Full-size CUV award winner was the 2016 Mazda CX-9. I drove this terrific vehicle more than once and can attest that it will transport kayaks on the roof with ease, while moving lots of passengers and gear. The 2016 Nissan Murano – always a favorite of Texas journalists – was named mid-size CUV. I plan to spend more time in it and give you the straight skinny on what makes it special. Keyword is: lots. The 2016 trail-rated Jeep Renegade was named compact CUV of the year. It is an iconoclast in this category since it is as off-road capable as its bigger Jeep relatives. Big fun to drive. So, the Texas Auto Writers Truck Rodeo is in the record books for another year. Boots and belts with Texas-size buckles are being tucked back into closets by people who wear them once or twice a year. Planning for next year’s event has already begun.